Your feet endure 60 tons of stress for every mile you walk — stress that your heels absorb — so it’s no surprise that heel pain is a common foot problem. Vern Christensen DPM, MPA and Jeffery VanYperen, Jr., DPM at Foot Specialists of Mississippi have years of experience helping men and women get long-term relief from heel pain. Don’t let your heel pain worsen; Call the office in Amory, Mississippi, or book an appointment online to get prompt treatment. There are many possible causes of heel pain. For instance, running on an uneven surface and wearing shoes that don’t provide enough support or cushioning can cause heel pain. Stepping on something hard like a stone can lead to a painful bruise. It’s also possible to bruise the fat pad on the underside of your heel, which may not look discolored but is still very painful. 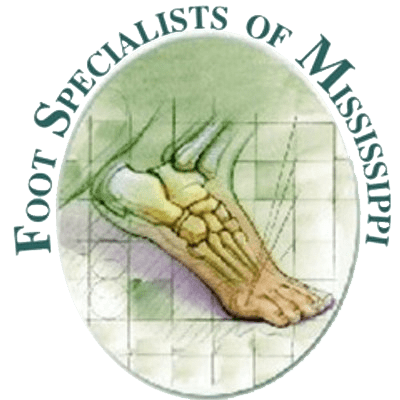 Because of the wide range of possible causes for heel pain, it’s important to have a skilled podiatrist like the experts at Foot Specialists of Mississippi make a proper diagnosis so that you can receive effective treatment. What are plantar fasciitis and heel spurs? Plantar fasciitis and heel spurs are the top reasons men and women end up with heel pain. It occurs when the ligament that connects your heel to the base of your toes (the plantar fascia) becomes inflamed. Plantar fasciitis develops gradually over time due to stress caused by various problems such as flat feet and a tight Achilles tendon or calf muscle. Heel spurs occur when excess bone accumulates in response to local inflammation. Many patients with plantar fasciitis develop heel spurs where the tendon attaches to the heel bone. How does the Achilles tendon cause heel pain? The Achilles tendon connects your calf muscle to your heel bone. Inflammation of the tendon, called Achilles tendonitis, often develops from repetitive activities that cause small tears in the tendon. When you stay active, your body doesn’t have time to heal the tiny tears, leading to worsening damage and inflammation. As the tendon weakens, you’ll feel pain on the back of your heel. The first line of treatment for heel pain consists of conservative measures. Your doctor at Foot Specialists of Mississippi may recommend taking a temporary break from activities contributing to the problem or teach you exercises to stretch your tendons and ligaments. They may also prescribe orthotic shoe inserts to cushion, protect, and support your heel. In some cases, you may need new shoes that fit better and provide optimal support. As experienced foot surgeons, Dr. Christensen or Dr. VanYperen can remove damaged tissues, eliminate a bone spur, or repair the plantar fascia or Achilles tendon when necessary. You don’t need to suffer through heel pain — expert help is available by calling Foot Specialists of Mississippi or by scheduling an appointment online.